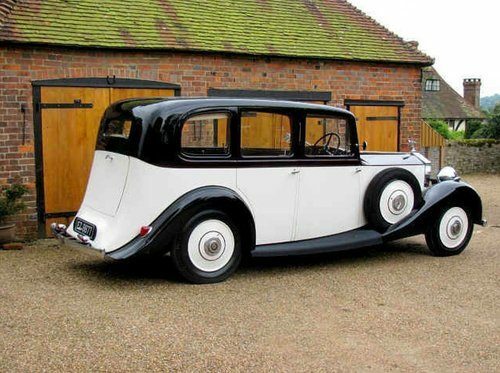 For Sale – 1938 Wedding Car Rolls Royce 25/30 “Princess Eloise” | Classic Cars HQ. 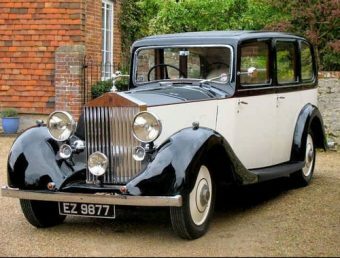 For Sale - 1938 Wedding Car Rolls Royce 25/30 "Princess Eloise"
First registered on 7th Jan 1938, this vehicle is a true piece of history. Six light Limousine with coach work by Hooper & Co. The coach work is finished in black over old white and remains in fine condition, as does the exterior chrome, which is not pitted. The interior, with sliding glass central division, separating the driver's compartment and the opulent rear cabin. The split front seats retain the original black leather which has been kept in great condition. Remaining, are the black carpets and leather door cards. Equally as smart, is the woodwork, including the dashboard and door surrounds/cappings. The rear cabin is in outstanding condition. Trimmed with cream leather and navy blue Wilton carpet. The area also benefits from two matching fold-out seats, making this a 7 seater, 6 passenger vehicle. In 1937, this particular vehicle's driving position and design of the front compartment was built around the particulars of the driver. 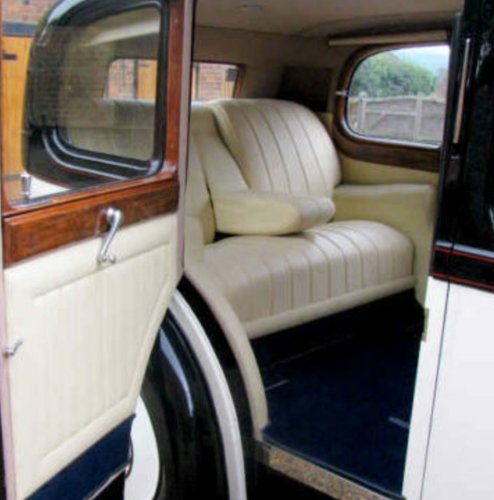 The rear, luxurious cabin was designed to support the lifestyle of the British upper class family, whom the driver would have served. 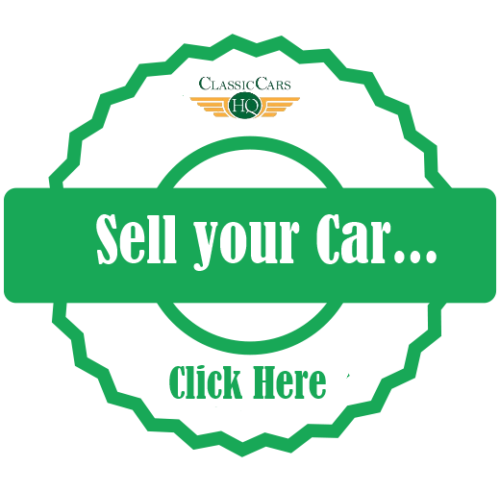 This vehicle has been carefully maintained to the highest standards. It has received a complete engine overhaul in 2013, which included replacements of all 6 big end bearings. A fabulous example of one of the finest vintage Rolls Royce which still exist today. The car has been used for the past few years, exclusively for weddings. This vehicle is worthy of it's true value. We would like it to go to a good home, anywhere in the world. Only genuine interest welcome.